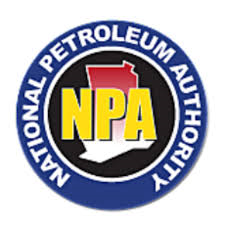 The Institute for Energy Security (IES) has asked the Environmental Protection Agency (EPA) and the National Petroleum Authority (NPA) to act without fear or favour, in order to bring to an end what it described as the unwarranted and frequent liquefied petroleum gas (LPG) explosions in the country. According to the institute, records show that from 2007 to date the country has recorded over 110 deaths and 500 injuries from gas explosions under different circumstances. The release said any time a gas explosion had occurred, the NPA, together with its allied agencies, would be quick to come out with reports on the cause of the incident, would proceed further to assure Ghanaians of making the explosions a thing of the past; yet, nothing would be done after a few days. “If we had acted on the recommendations of previous explosions beyond the promises, this accident would have been avoided,” the release said. It said the reforms must go beyond banning the filling of LPG bottles at retail sites, to include the appropriate siting of LPG retailing stations, consistent and effective monitoring of LPG sites, stringent regulatory and licensing regimes among other things. “The IES wishes to appeal, while encouraging, especially the NPA, not to tolerate any form of resistance and unnecessary interference likely to come from persons with parochial interests in its quest to bring about the needed reforms,” the release said. The release further urged the general public to support the regulatory bodies in implementing the needed reforms for the sake of lives and properties lost and persons injured in the current and past explosions.